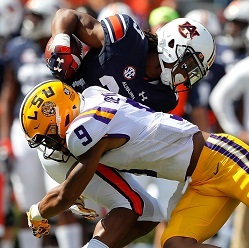 Grant Delpit, S, LSU (NCAA) — Of all the college football programs that give themselves the unofficial “DB U” moniker, LSU has as legitimate a claim as any. In the months leading up to the 2018 NFL Draft, Ohio State’s Denzel Ward was widely considered the best cornerback in the pool. 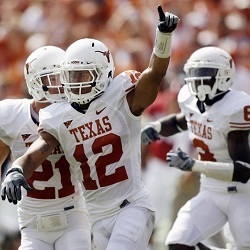 Cornerback also happens to be one of the most coveted positions in the NFL. 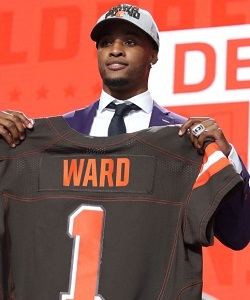 So why was it such a surprise — drawing a harmonized “Whoa!” from the NFL Network’s TV panel of experts — when Ward was the first defensive back chosen in Thursday’s first round? 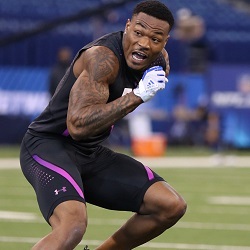 The final day of the 2018 NFL Scouting Combine was the most busy in terms of action on the field, as a group of 70 defensive backs (43 cornerbacks, 27 safeties) performed drills and showcased their skills in preparation for this year’s NFL Draft. There were more defensive backs at the Combine than players at any other position, and it was the largest group of DBs in the event’s history. 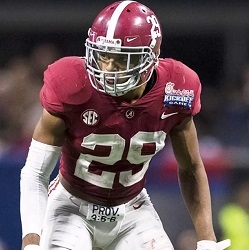 As a collective unit, Alabama has had the best defensive backfield in college football for at least the last three seasons — which coincides with the rise junior Minkah Fitzpatrick, the Crimson Tide’s do-everything DB who has lined up at safety, cornerback, and any other uniquely-named hybrid position that coach Nick Saban wants to use that particular week. Which school is the true ‘DBU’? The thing with unofficial titles is that anybody can lay claim to them. And in a competitive environment such as the big-time sports industry, where everybody is looking to own something that sets them apart from the pack, that means any attractive title you can imagine could have multiple entities claiming it as their own. 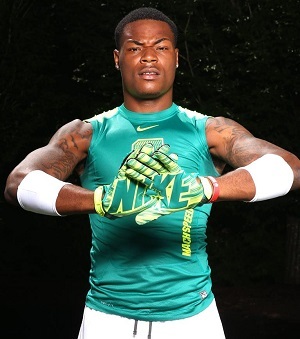 Derwin James is the best high school safety in the country, according to Scout.com. The senior from Haines City, Fla., is ranked No. 15 among all players in the Class of 2015 and No. 4 among DBs — behind cornerbacks Kendall Sheffield (Missouri City, Texas), Iman Marshall (Long Beach, Calif.) and Kevin Tolliver (Jacksonville, Fla.).